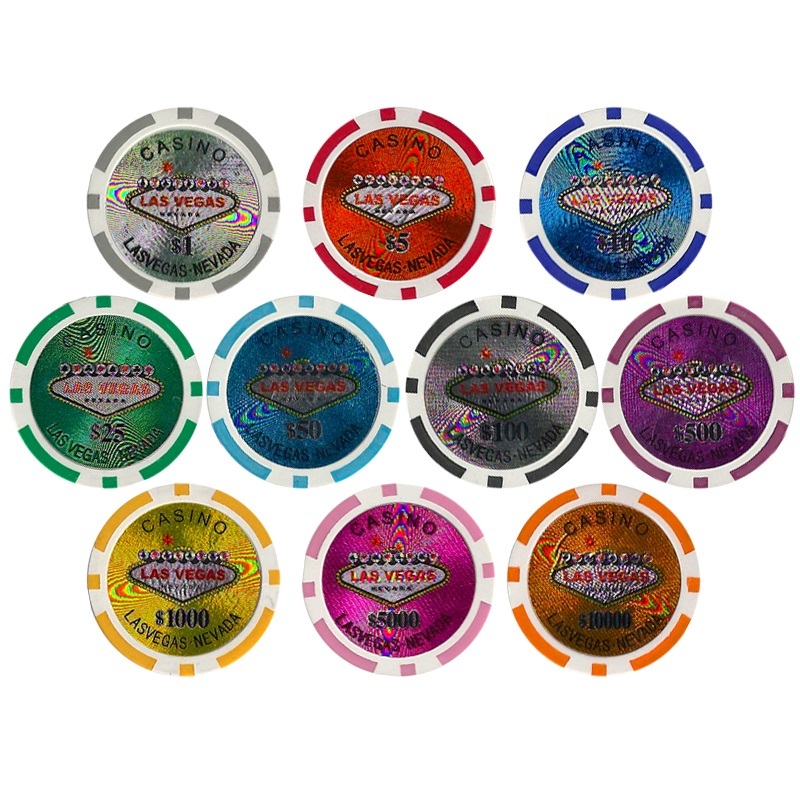 The bulk Las Vegas Casino poker chips are a 2-color clay/composite chip with a weight of 14 grams which gives them a solid heavy feel. 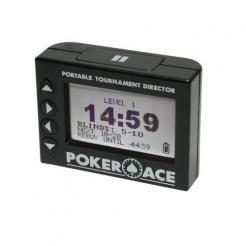 The graphics are inspired by the famous "Welcome to Las Vegas" sign and have a denomination on each side. 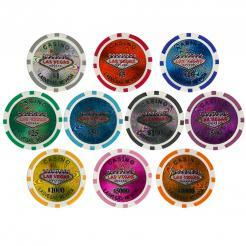 The Las Vegas Casino bulk poker chips can be customized. You pick what colors/denominations you want to make up your bulk chip set. Just enter the quantity into the box next to the chip. Must be in quantities of 25 chips.